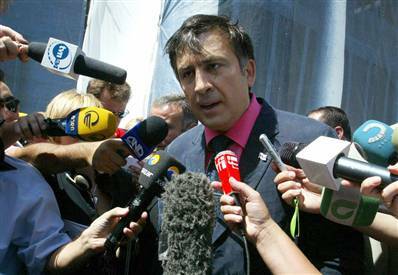 Saakashvili has been conducting daily interviews in his fluent English on international television networks and making frequent televised speeches at home. On Wednesday, he said in an interview on CNN that Russian troops were “closing on the capital, circling,” and planning to install their own government in Tbilisi. Associated Press reporters in the area saw no sign of an impending coup. An AP reporter saw dozens of Russian trucks and armored vehicles heading south from the central city of Gori in the direction of Tbilisi, but they later turned away. WASHINGTON (Reuters) – The U.S. mission in Georgia is not to defend ports but to provide humanitarian aid following Tbilisi’s conflict with Russia, White House spokeswoman Dana Perino said on Thursday. 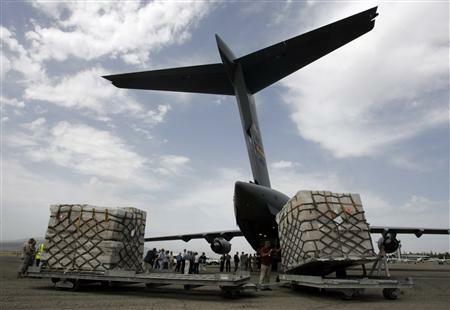 “We are not there to defend the ports, we are there to provide humanitarian aid,” she said. Perino’s comments followed reports that Russian troops had moved in and around some Georgian towns, including the Black Sea port of Poti. She said the United States has not had any problems with the Russians in getting humanitarian and medical supplies into Georgia. President George W. Bush spoke with the leaders of Ukraine and Lithuania earlier in the morning about the crisis in Georgia, Perino said. “The president underscored the United States’ solidarity with Georgia and discussed our diplomatic and humanitarian efforts,” she said. “All the leaders stressed the importance of standing by a sovereign, free Georgia and its territorial integrity, and agreed on the need for Russia to stop the violence, abide by the ceasefire and withdraw its forces,” Perino said. Secretary of State Condoleezza Rice will go to Crawford, Texas, Friday night from her trip to France and Tbilisi, and Bush will consult with his national security team on Saturday, she said. Here’s that report. This struggle commenced during the Clinton administration when the former Soviet republics of the Caspian Sea basin became independent and began seeking Western customers for their oil and natural gas resources. Western oil companies eagerly sought production deals with the governments of the new republics, but faced a critical obstacle in exporting the resulting output. Because the Caspian itself is landlocked, any energy exiting the region has to travel by pipeline – and, at that time, Russia controlled all of the available pipeline capacity. To avoid exclusive reliance on Russian conduits, President Clinton sponsored the construction of an alternative pipeline from Baku in Azerbaijan to Tbilisi in Georgia and then onward to Ceyhan on Turkey’s Mediterranean coast – the BTC pipeline, as it is known today.